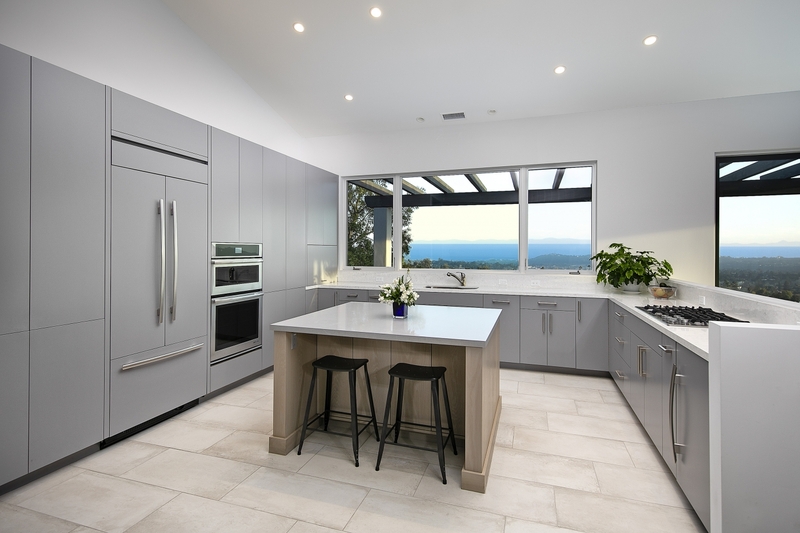 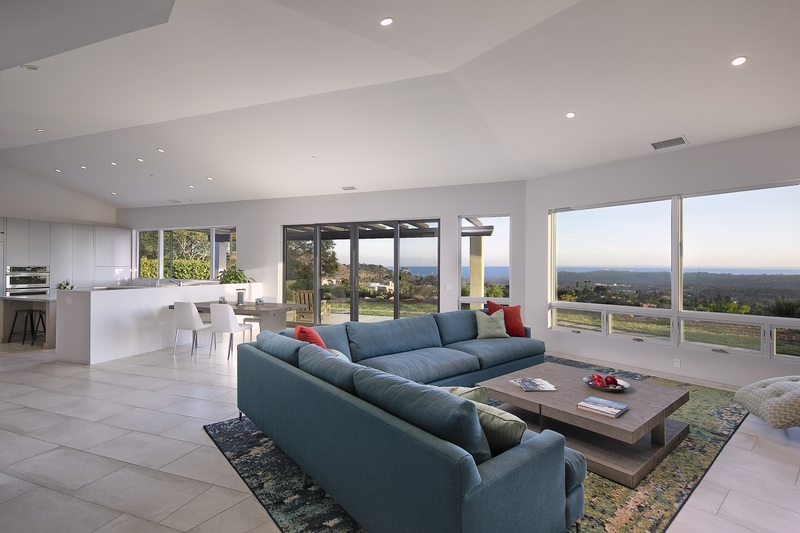 Recently completed, a thoughtful contemporary design is coupled with unobstructed views of the ocean and islands beyond. 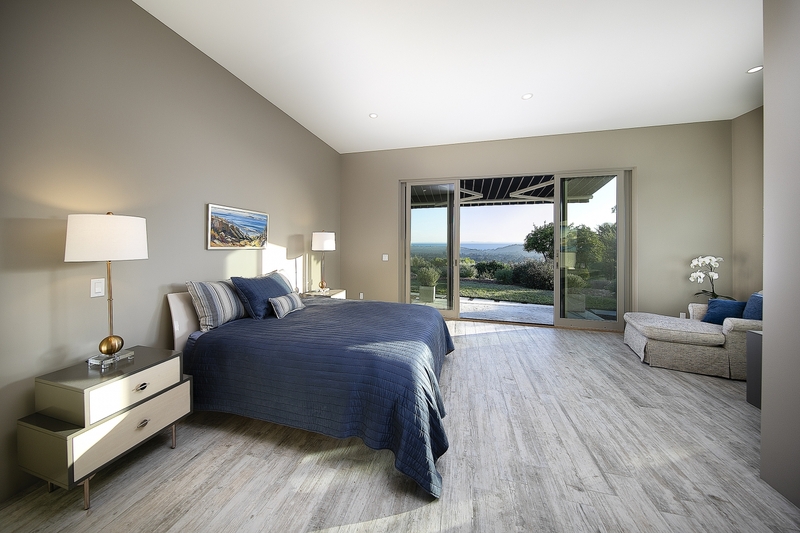 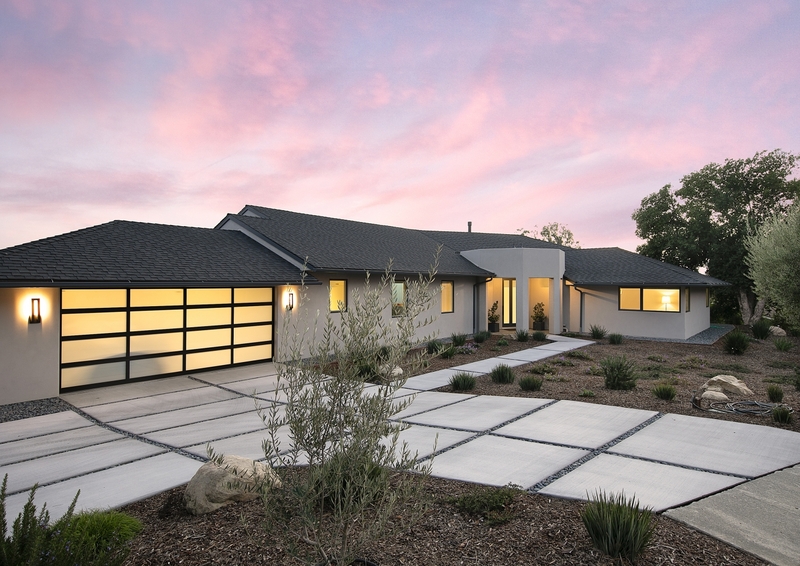 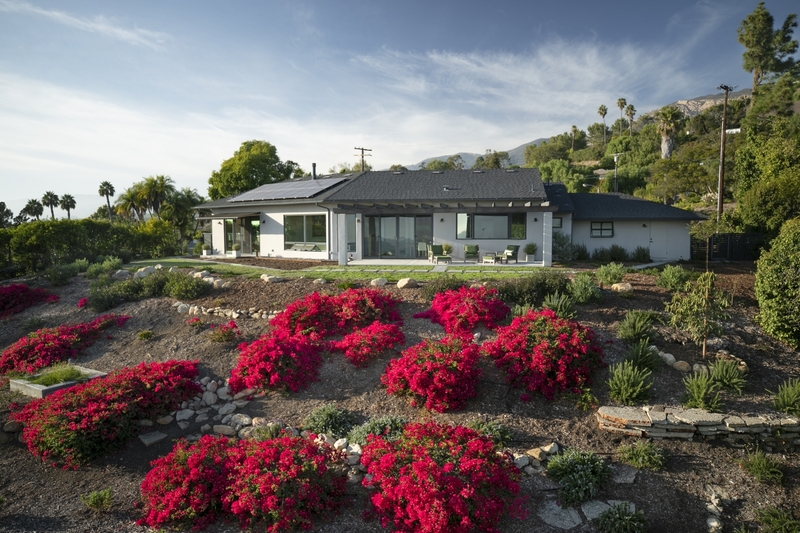 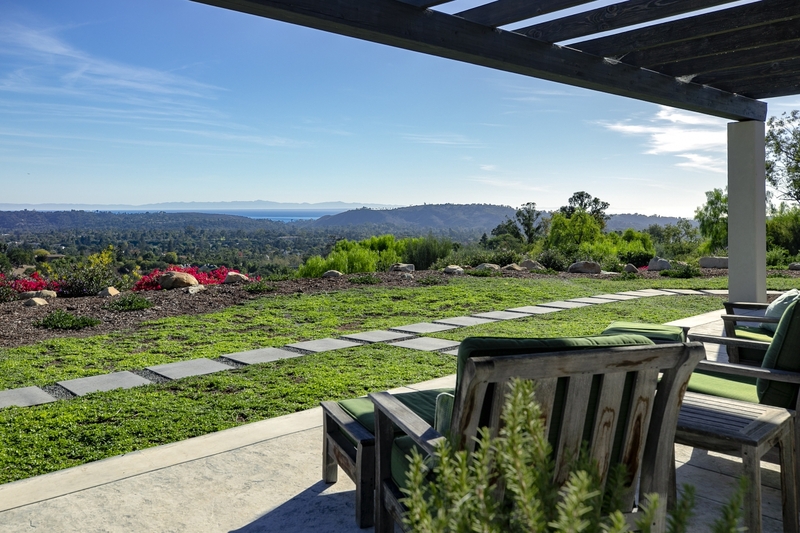 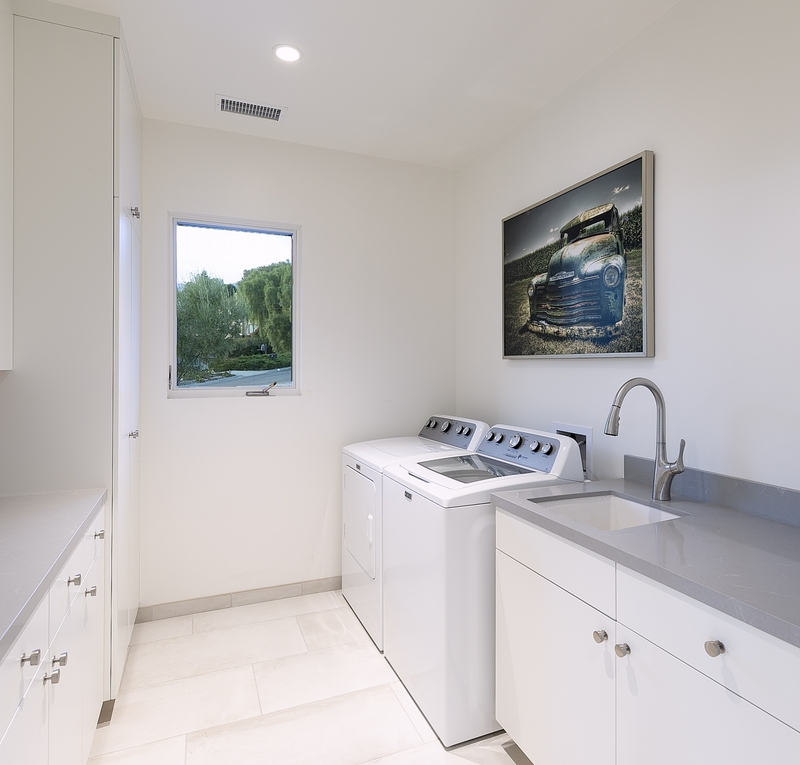 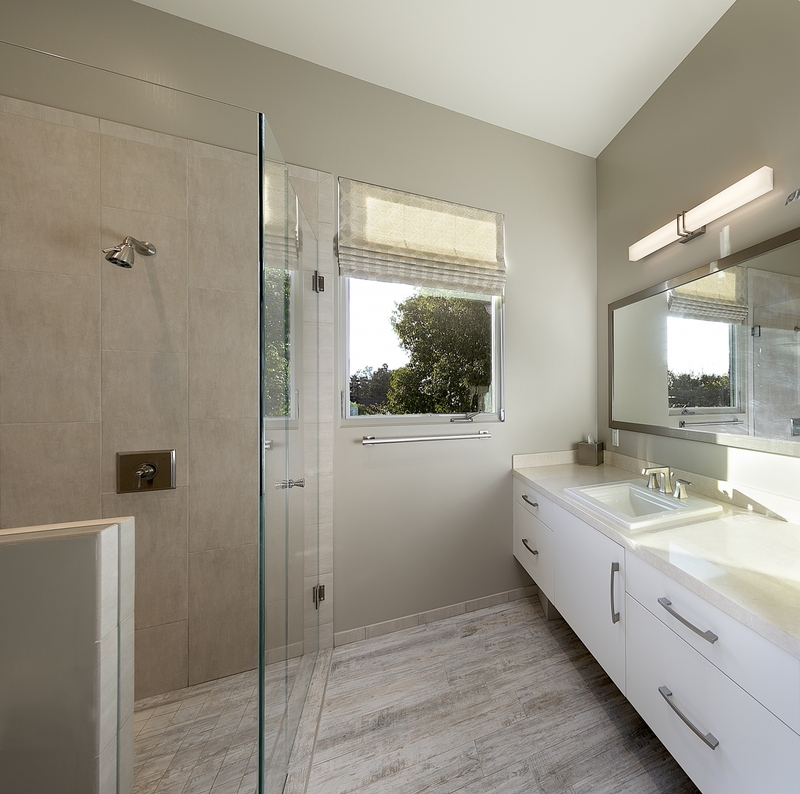 Nestled in the picturesque San Roque Foothills, this single-level California ranch home has been expanded and enjoys 3 bedrooms, 3 baths, an open floor plan, voluminous ceilings, tile floors, custom architectural millwork, sleek finishes, and expansive walls of glass. 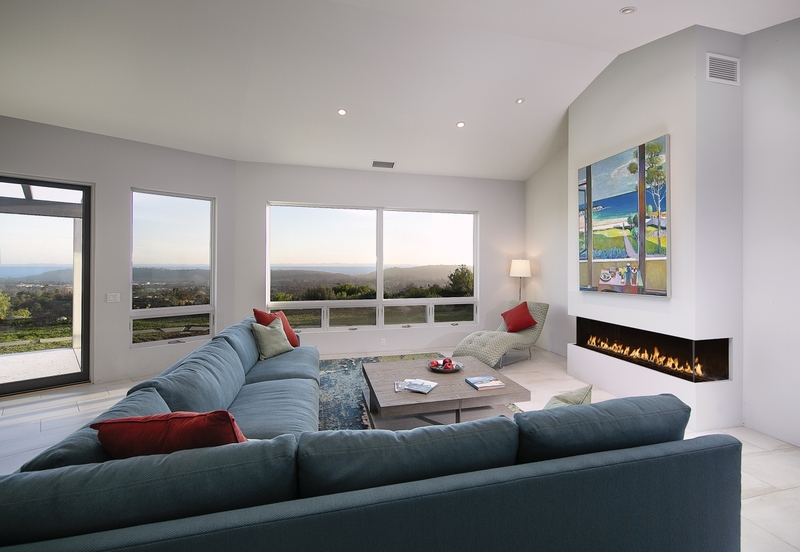 The South-facing open concept great room features a sophisticated living room with a modern fireplace, media enclave with custom built-ins, and a generous state-of-the-art kitchen with quartz counters, quality appliances, and endless storage. 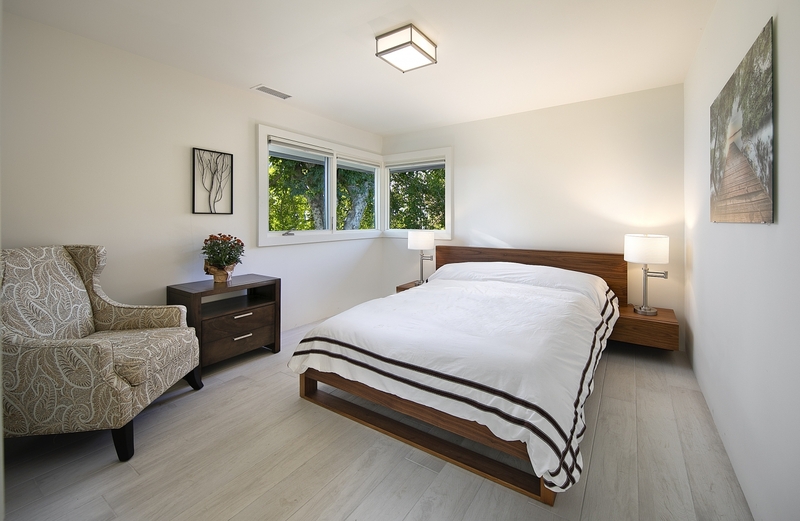 The master suite enjoys ocean views, large closet, sleek bath, sitting area, and covered view terrace. 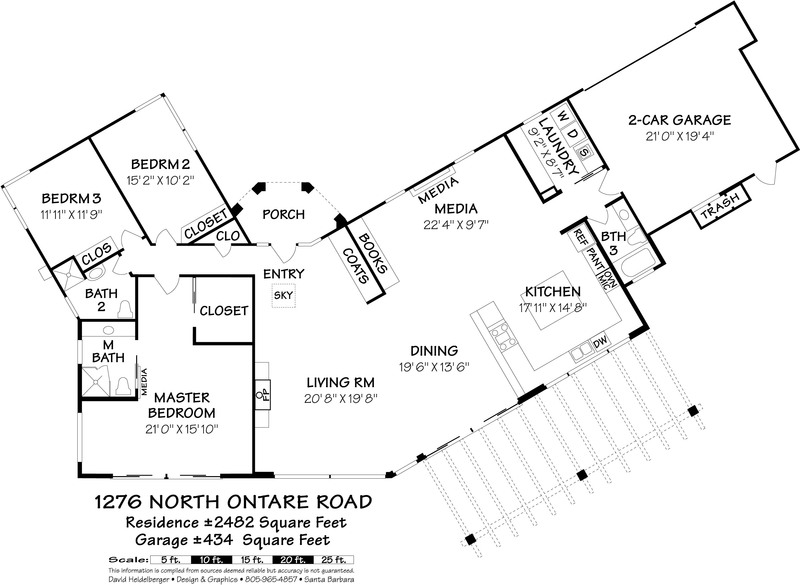 Two additional bedrooms, laundry room, and an attached two-car garage complete the floor plan. 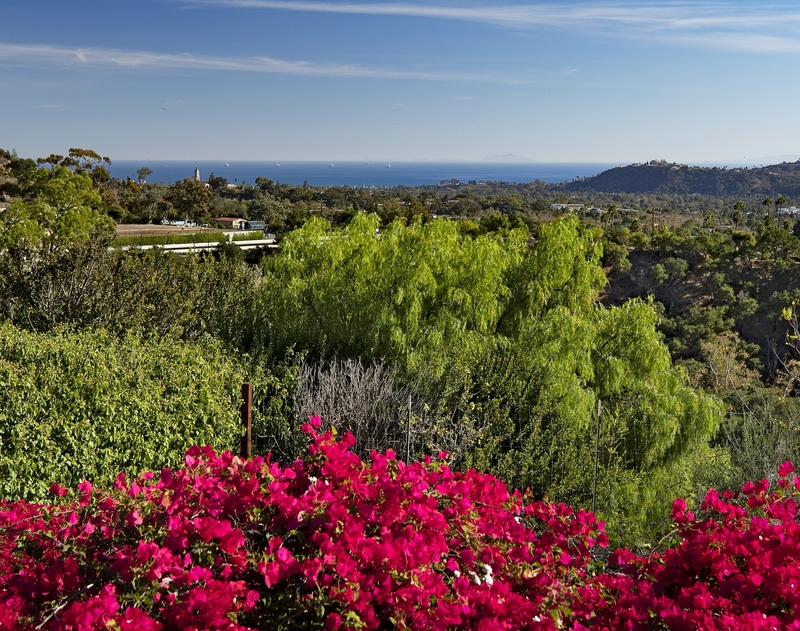 Set on over half an acre of terraced gardens, numerous fruit trees, pathways, and covered verandas. 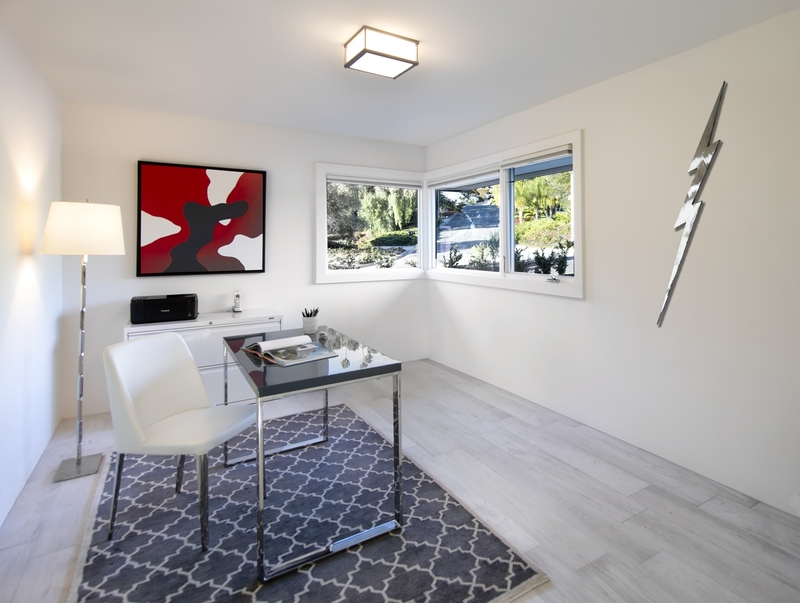 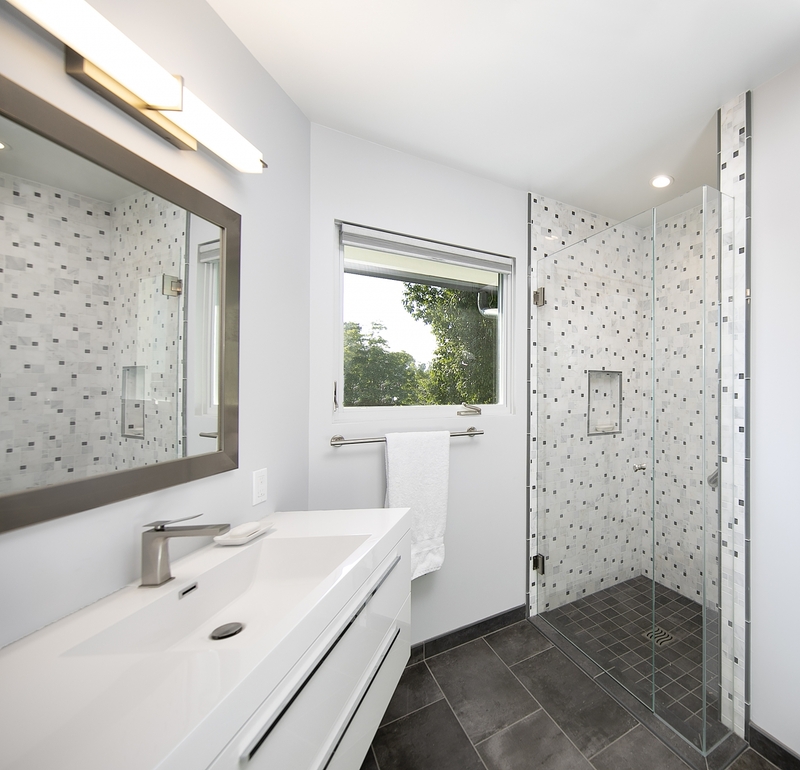 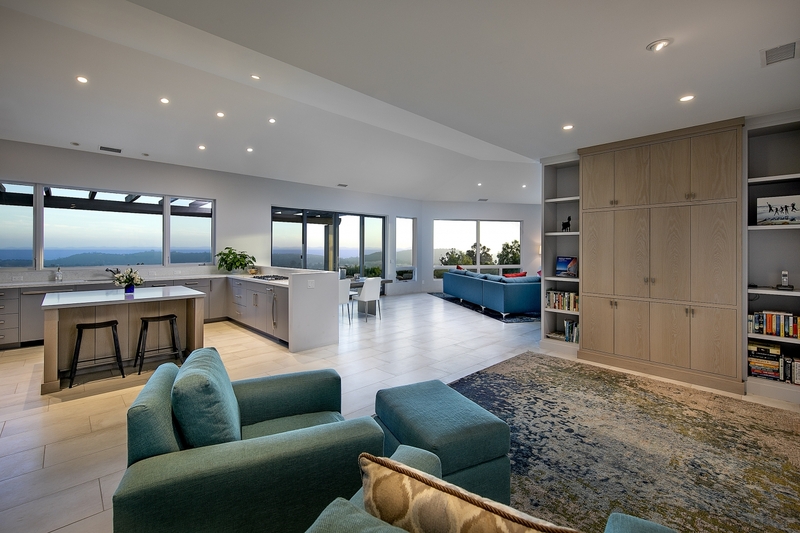 Plenty of privacy, and overlooking Steven's park, this renovated home is a nature lover’s dream yet entertains numerous guests with ease.